Welcome to the 285th edition of Festival of Frugality. The Festival of Frugality is a carnival of the week's best stories and tips on how to save money. Some of us are new to squeezing the most out of our dollars and it can feel a bit like the fifth dimension. Which brings us to our theme for the week, The Twilight Zone. One of our money saving tactics was to get rid of our cable. Netflix, for us, has been a wonderful substitute. We have been more than happy watching streaming episodes of one of our favorite TV shows. Not only is The Twilight Zone frugal to watch, it has many frugal themes too. 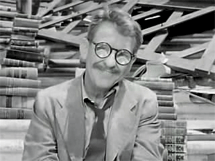 Henry Bemis (played by the wonderful Burgess Meredith) really knows how to use his library's resources. All the man wants to do is read and nobody will let him, even his wife. He finally gets his chance when he becomes the sole survivor, after a nuclear bomb hits the city. Oh, snap! Then the unthinkable happens. Annabelle at The Year of Shopping Detox tells us How to keep cool in the city (without breaking the bank). For those of us without the central AC. Cool to be Frugal gives some tips on How to Overcome Frugal Fatigue. Sometimes you need a reminder to refocus. PT Money gives 5 Tips for Great Financial Fathers. A nod to fiscally responsible dads. Aliens come to save us from ourselves. They offer world peace and eliminate hunger. They even have a book called To Serve Man. What could possibly go wrong? By the end we know the visitors are very frugal and like to cook for themselves. It's what's on the menu that is most disturbing. Canadian Finance Blog has 4 Tips to Eat Cheap. Kris at Everyday Tips and Thoughts looks at food in a different light with Avocados or 5 Dollar Bill? Entertaining yourself has a valuable lesson in this story. Residents of The Sunnyvale Rest Home learn to be young again with a very inexpensive game of kick the can. Too bad for Ben Conroy who misses out on a once in a lifetime chance to play. MomVesting is ready for some Frugal Fair Fun. WalletBlog asks How Much Does Watching TV Really Cost You? Here at Debt Free By Thirty we discussed all the Free or Practically Free Things to do in the Summer. When a bus driver and his thrifty riders must stop due to a broken bridge and a snowstorm, they take shelter in a nearby diner. While waiting, the news hits that a UFO has landed nearby and footprints in the snow lead to the diner. Paranoia ensues when they realize the alien is amongst them. Frugal Living asks if you're Traveling? Budget Tips to Stretch Your Dollar. A peddler, named Pedott, knows the difference between a want and a need. He also has the uncanny gift of giving exactly what you need. When a petty thug realizes his gift he starts harassing Pedott, demanding over and over again for just one more thing. What happens is a cautionary tale of the consequences of always getting what you want. Wallet Watcher wants us to Trim Away Budget Belly Fat. Free Money Finance lists the 10 Biggest Money Wasters. My Personal Finance Journey discusses Biggest Financial Pet Peeves. Squirrelers wants to know How Many Shoes Do You Buy Annually? The Earth is hurtling toward the sun. Most everyone has left the city except Norma and her passive income earning landlord, Mrs. Bronson. As each hour passing gets hotter, things only get worse. Until you realize Norma is having a fever dream. Is she just trading one nightmare for another? Sandy at Yes, I am Cheap gives us some ideas on How to Go Green in Big Ways Without Breaking the Bank. Stupid Cents has Tips to Save Money Around the House. Boomer and Echo wants to know, do you Pay Off Your Credit Cards Immediately or Wait For the Grace Period? This is one of the creepier episodes because it is one of the few that could actually happen. While at a dinner party a warning of danger comes over the radio. Dr. Stockton is prepared with his in-home bomb shelter, but the other neighbors are not as equipped. As they panic, their true colors shine through. A man who doesn't know how to keep his mouth shut, takes on a bet for a half million dollars that he won't be able to stay quiet for a year. To everyone's surprise he accomplishes the feat, but in true Twilight Zone fashion there are a few more surprises to be had. There are some things you just shouldn't do for money, no matter how frugal you are trying to be. Lindy at Minting Nickels asks How Far is Too Far To Live Debt Free? Sandy from First Gen American points out the cost When Babci's Frugalness Goes too Far. This is honestly funny. Thank you to everyone who participated in this week's carnival. If you are interested in participating in the next Festival of Frugality you can submit your entry with this submission form. If you are interested in hosting a Festival of Frugality, you can find out more here. 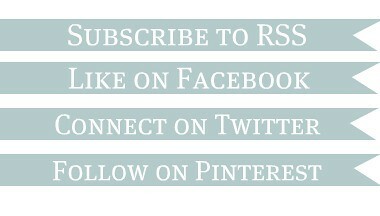 If you enjoyed today's post, you may want to consider subscribing to Debt Free By Thirty or follow me on Twitter.